All I can say is: FINALLY! 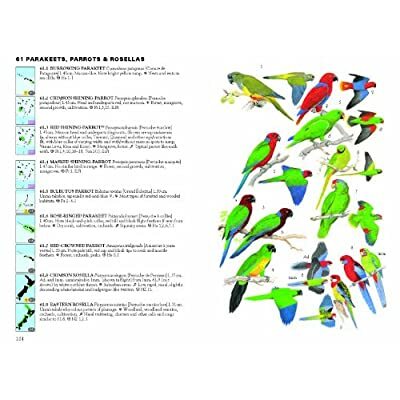 Hawaii finally has a user-friendly bird guide book. You see, back in January 2005, my wife and I had a wonderful trip to Hawaii on-the-cheap. I think we spent less than $1000 total. My wife's sister and her family lived on Oahu while my brother-in-law served in the Army as a Blackhawk Helicopter pilot. We got a great deal on round-trip airline tickets, we stayed at their apartment for free, they drove us all over the island, and we saw and did so many cool things that I already can't wait to go back. Usually after a couple days of vacation I am ready to go back to the routine of life, but not when we were in Hawaii. I could have stayed much much longer enjoying paradise. Though I was still very new to birding, I was anxious to see Hawaiian birds. I searched online and in book stores, but found only a couple of books to help me prepare to see Hawaiian birds. Neither book was all that useful, nor user-friendly. They just weren't anything like the Sibley guide I had recently started using. Princeton University Press, brilliantly has created a series of "Illustrated Checklists" for birds in far-flung locations around the globe. The name of the series is appropriate as they don't try to be exactly like the field guides we love and enjoy in North America and Europe. However, these illustrated checklists are perfectly usable for the birding tourist. The size of the Birds of Hawaii book is excellent, just small enough to fit into my front or back pocket of my jeans. It's thin enough to fit easily into your luggage without additional expense. The illustrations focus on field identifiable characteristics; simple and accurate. The maps work just fine, but you will have to get used to the unique color coding system (I'm still campaigning for world uniformity) and you'll have to know your Pacific Island geography. As the full title states, this book covers a huge swath of geography on the Pacific Ocean, not just Hawaii. In fact, an internet search gives me clues that this book was perhaps initially published for New Zealand by HarperCollins, but was re-marketed by Princeton U press focusing on Hawaii for distribution in North America. Don't we birders just love to discuss "provenance"?! Birds of Hawaii, New Zealand, and the Central and West Pacific would have been the perfect companion (in addition to my wife) for my trip to Hawaii. I can't wait to go back to Hawaii, and to hopefully visit those other islands covered, and use this illustrated checklist. I wish to express my thanks to Princeton University Press for providing me a review copy of this guide.